Nigeria would in a matter of months take its right of place on the global fertilizer map as the world’s largest gas-based single stream Urea plant is about to start production in Eleme, near Port Harcourt, Rivers State, being built by Indorama Eleme Fertilizer & Chemicals Limited. The construction was handled by a consortium of Toyo Engineering and Daewoo Nigeria Limited. The company’s in-house journal, IMPACT, edited by one of Nigeria’s foremost journalists and Africa’s first doctorate degree holder in Public Relations, Jossy Nkwocha (formerly of Newswatch), now the company’s chief image maker, said in its latest edition that the feat had so far taken 32 months. 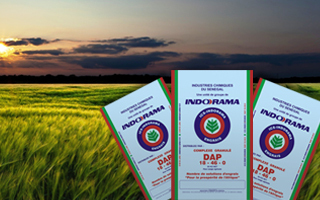 Known for its deadline-meeting ability since it stepped into the Nigerian industrial firmament, Indorama Nigeria started the fertilizer plant after a syndicated loan from the International Finance Corporation (IFC) and some Nigerian banks few years back and has met its deadlines too. 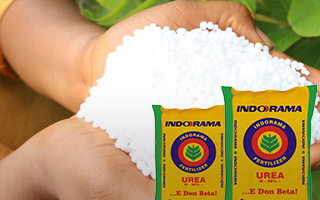 Indorama Corporation bought over Eleme Petrochemicals Limited which established Indorama Eleme Fertilizer & Chemicals Limited (IEFCL), Port Harcourt, as a sister company of Indorama Eleme Petrochemicals. The in-house magazine said currently, several critical sections of the plant are going through various stages of pre-commissioning, commissioning and test-run, leading to plant inauguration in the First Quarter of 2016. An 84-kilometre gas pipeline to supply natural gas liquid (NGL) feedstock and a port terminal at Onne Port Complex in Port Harcourt are also being completed to compliment the fertilizer project. The fertilizer plant has world-scale capacity of Urea 4000 metric tones per day (MT/day) or 1.4 million MT per annum. It is energy-efficient and has state-of-art technology, indeed, the latest technologies from world class process licensors – KBR of United States of America and Toyo Engineering of Japan! According to him, the plant also adopted state-of-the-art construction methodologies, using latest construction equipment, high capacity cranes, committed and skilled manpower and supervision. Industry experts and stakeholders say that the Indorama fertilizer plant, a large scale project will be completed in stipulated time frame is indeed a remarkable record in Nigeria! Chief Executive Officer (CEO) of the company, Manish Mundra, is reportedly excited about this remarkable feat, which he said would boost the nation’s agricultural sector; provide needed fertilizers for farmers across the country, improve crop yield, fight hunger and poverty and create numerous employment opportunities. 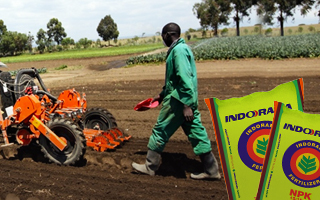 Besides, Mundra also believes that the Indorama fertilizer would greatly enhance Nigeria’s brand reputation as it would put the nation on the global fertilizer map of the world as a producer and exporter of fertilizers! Mundra said the fertilizer project was a whopping $1.4 billion Foreign Direct Investment (FDI) from Indorama Corporation, funded mainly by International Finance Corporation (IFC), an arm of the World Bank, and some Nigerian banks; and is one of Nigeria’s biggest FDI in the downstream sector of the nation’s economy. Some of the critical sections of the plant which have been completed include the central control room, Ammonia and Urea Cooling Towers, Utility Boiler, Air Compressor, which are all commissioned and functional. Others include the Primary reformer; Secondary Reformer, Granulation, Material handling system etc. are in advance stage of construction and pre commissioning activities.